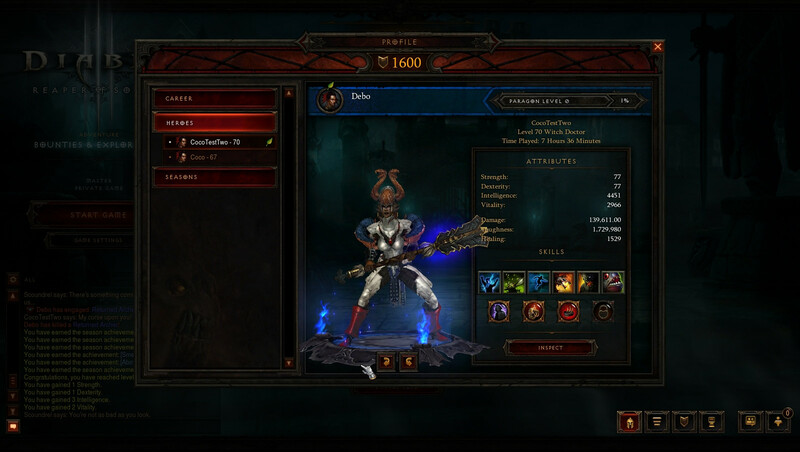 Hey guys I’m Debo, I Main the Witch Doctor class, ever since the beta for Diablo 3 Vanilla. 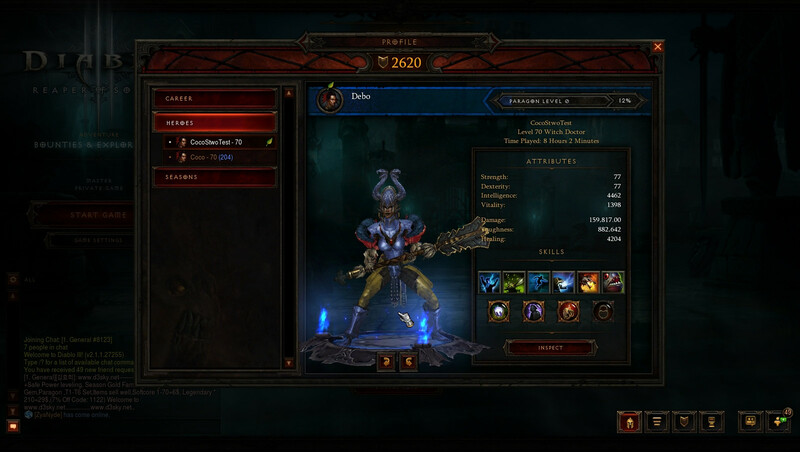 Encouraging players to try out the Witch Doctor class, and enjoy Diablo 3 is my major focus. I started to do this by compiling my thoughts in guides, and streaming to provide information to those who seek it. 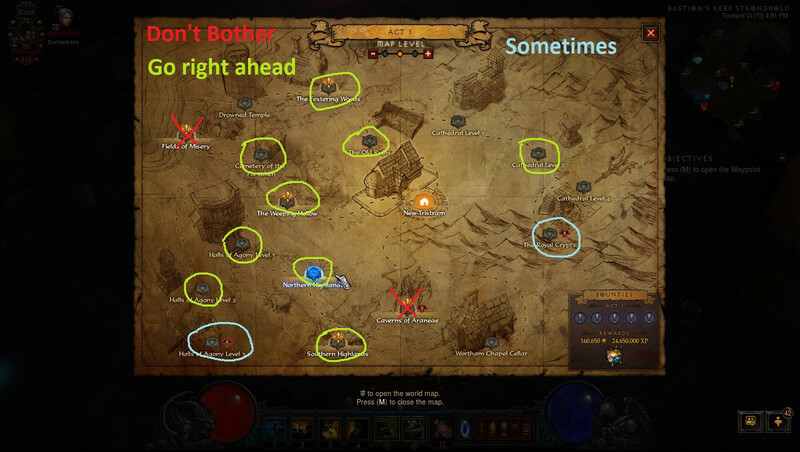 This Guide, is meant to serve people whom might be new to Diablo 3, or new to the Witch Doctor Class. It provides a structured easy to follow process that will enable the player to maximize the first 24 hours of a New Witch Doctor that is Created. 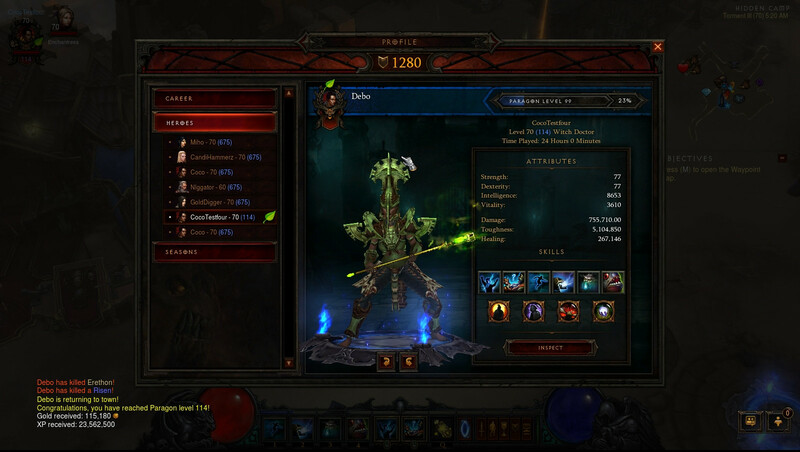 Getting power leveled, using exploits, or group play will yield faster results in gearing up a Witch Doctor initially. The point of this guide is to provide an option for players to be self sufficient, or use as a itinerary list on what you should be focusing with a new Witch Doctor. Appropriate gears choices while Leveling. The following in which you are about to read, is a start to finish Itinerary for our first 24 hours for a “fresh” solo Witch Doctor. If you are in a group, you can use this as a rough outline on what you should be focusing on as you progress through content. The leveling Phase is pretty straight forward, it list what difficulty, and skill setup you should be running at different level intervals. The second phase shows how you should prioritize your time to quickly Progress onward to Torments 1 & 3. The final phase is all about rounding out your build, and gear itemization to have your Witch Doctor Torment Level 5/6 ready. After Completing a Greater Rift, you receive 1 Random Legendary gem until you acquire all of them. Farming Greater Rifts when GR Keystones drop form Regular Rift runs. Crafting Topazes to their highest level. Bounties are pretty much straight forward. While leveling there certain bounties that we avoid, and specific acts we stay away from. When you start a new Witch Doctor, everyone can start off in “Adventure mode”, granted they’ve completed story mode beforehand. Why do you only choose Act 1 Bounties Only? What Bounties should I do, avoid sometimes, or skip all together? Why am I avoiding these Bounties? One case, is how Difficulty level effects bosses greatly, Last thing you want to do is fight Skeleton King, Queen Araneae, or the Butcher on Masters+ Difficulty or higher, for the amount of time they take, it is not worth it. It is ok to do these bounties, ONLY if the bounty that is given DOESN’T involve killing a Boss Monster. If you complete all of the bounties, that are on the list, and all that remains are the ones that you should “NOT” do, it is more profitable to simply leave game to “Reset” the bounties. This bonus persists until you reach a set amount of bonus experience (equal to approximately 10% of the current amount of Paragon experience needed to reach the next Paragon level) or your character dies. While doing bounties you will come across these pools of golden goodness, it is very easy to keep these stacks going from levels 1-61. So to increase the rate at which you level stack these pools without dying. From levels 61 onward, things can get a little tough, so be extra careful to not die as the increased exp makes a BIG difference on your way level 70. What Gear should I be focusing on while leveling up? 2 Handed weapons are the best due to our skill choices, their accessibility, and how well their damage scales as we level up. What options do I have if I can’t find a decent weapon? If your Weapon begins to start lacking, and you need to replace it to keep a good leveling pace, Checking the Merchants in each Act will help your out A TON. So don’t neglect this option. What about when I hit level 61? Once you reach level 61 Start picking up EVERYTHING, because these items are the “End Game” Crafting items. If you get any Level 60-70 Voodoo Witch Doctor Helmet save them! What is the most optimal Build in your opinion to level with? Damage over Time spells are very powerful tools while leveling, and scale Dramatically well with 2 Handed Weapons. The build that I have below is a build that works well into level 70, and beyond. If you need the level by level on what skills to you, you can check out the 24 Hour Witch Doctor Phase 1 Itinerary section located at the beginning of the guide. Remember to adjust Skills, game difficulty, passives, and runes as you are leveling. Get a Socket-ed helmet for Levels 61-70, and place a Marquise Ruby inside it! Pools of reflection are you friends, don’t waste them by dying! Phase 2 begins immediately after you obtain level 70. Setting ourselves up to progress towards torment Difficulty levels 1-3 while also identifying (based upon what Items have dropped ) which build would be the most efficient for our Witch Doctor to run. With a little crafting, and some luck this phase will go smoothly. Once your level 70 you will have more than enough Gold, and some Last breaths to upgrade these artisans to max level. Aughilds Power, and Cain’s Set give you the greatest potential out of the items you can craft. Would not advise to craft your gems higher then Marquise, unless you are using them as a crafting material when your re-rolling legendary Jewelry. Only thing to say about here, is that Chest, Pants, Belts, Shoes are fairly expensive to re-roll stats on so be careful. Gloves, and Wrist are by far the cheapest to re-reoll. Any items you continual re-roll has their base gold cost increased every time the enchantress is used, this is however excluded when re-rolling Legendary Jewelry (Rings/ Amulets) the cost for these items are consumed in the forum of Gems. 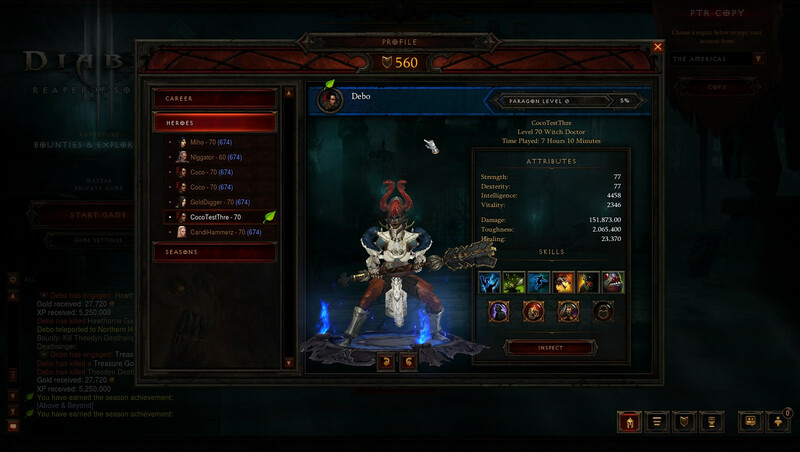 Boon of the Hoarder is a Legendary Gem in Diablo III. It can only be socketed into Amulets and Rings, and, unlike other Legendary Gems, only drops from Greed in the Treasure Realm. This gem gives a chance to cause any killed enemy (even if killed by a pet or a minion) to drop several large piles of gold in addition to their normal loot. The explosion does not cause any damage. Upgrading the gem increases the chance to proc, though for realistic purposes, it is not worth upgrading after reaching rank 50. At rank 25, it also gives a brief movement speed boost after picking up gold. This gem will have no effect in Greater Rifts. It will also not trigger off of kills made by anyone other than the Nephalem hero who uses this gem, even their own followers. It is also the only gem that gives no real combat effectiveness by itself. The massive quantities of gold offered, however, do prove very potent when coupled with items like Goldwrap and the Custerian Wristguards. The Boon of the Hoarder is one of the three gems (the others being Gogok of Swiftness and Invigorating Gemstone) that actually have a limit of effective ranking at 50. How do you go about getting a Treasure Realm? By setting the game Difficulty to Normal, and targeting areas in Adventure mode (non rifts), where Goblin spawn rates are high. Can I get a Treasure Realm to spawn from goblins in rifts? No you cannot, it has to be in Adventure mode, you must be level 70, and it is only Goblins that are NOT inside of a rift. 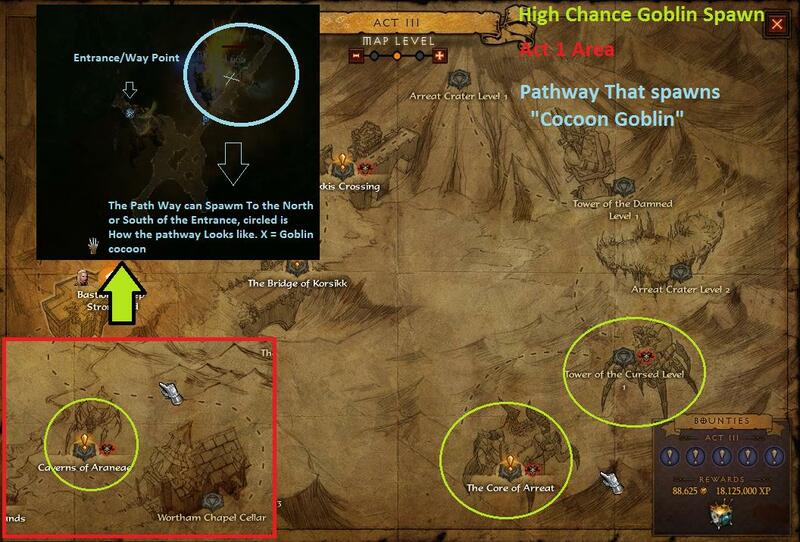 Do you have a list of Areas where you go to hunt goblins? Why is it so important to get this gem right away after hitting level 70? Gold is the sole reason, due to the fact that Crafting, Gem Crafting, and Using the enchanter for re-rolls is can get VERY expensive. Securing this item early on, will grant you easy gold for a lifetime. In regard to what target numbers I go for before progressing towards a higher level of difficulty, these are simply what worked for me, A.K.A My opinion. If you find your able to start Torment Level 1 sooner than what target Toughness/Dps then by all means go for it! All you need to run this build is a Solid 2 handed weapon, and sub-par Rolls on your gear. Can get you into Torment 3 Farming very easily, and with the help of few items do Torment 6 easily. Only thing bad about pet builds, is that their initial gearing works well for lower torments, but takes a while to obtain the all the items that push it to the end game. Due to Drops being fairly luck based, and random, I prefer to go with the 2 Handed Dot/Pet Build, due to the fact that it doesn’t require item specific drops. Haunt, and Locust swarm also scale VERY well with 2 Handed weapons, and the right Increase Skill Damage/Elemental rolls on your gear. If you want less of a headache I’d advise to use the 2 Handed Dot build first, to help you farm efficiently, then proceed into a Jade, or one of the End game pet builds once you’ve acquired some nice build specific loot drops. The guides inside my WD compendium showcase the different Builds for Witch Doctors, and the versatility of what options we have for T6/GR 30+ Farming. I.E. : A legendary Sword drops, Doom Bringer Drop Rate is Roughly 5-6%, so basically out of every 20 Legendary Swords that drop you “SHOULD IN THEORY”, have one of those drops be a Doom Bringer. Keep in mind you could go through 40 Legendary Swords, and see no Doom Bringer, then on your next two Legendary Sword drops you get two Doom Bringers in a row, that is what we call “RNG” or Random Number Generator. The final phase is mostly coming to terms with what build to lock down (focusing on a specific build) so that by the end of 24 hours (in game time) your Witch Doctor will be able to farm T5-T6 easily. If you followed the correct steps listed in Phase 2, you should have a clear idea of what build your working towards, and only need to “Min/Max” the final pieces of your gear. Min-maxing is the practice of playing a role-playing game, wargame or video game with the intent of creating the “best” character by means of minimizing undesired or unimportant traits and maximizing desired ones. This is usually accomplished by improving one specific trait or ability by sacrificing ability in all other fields. This is easier to accomplish in games where attributes are generated from a certain number of points rather than in ones where they are randomly generated. 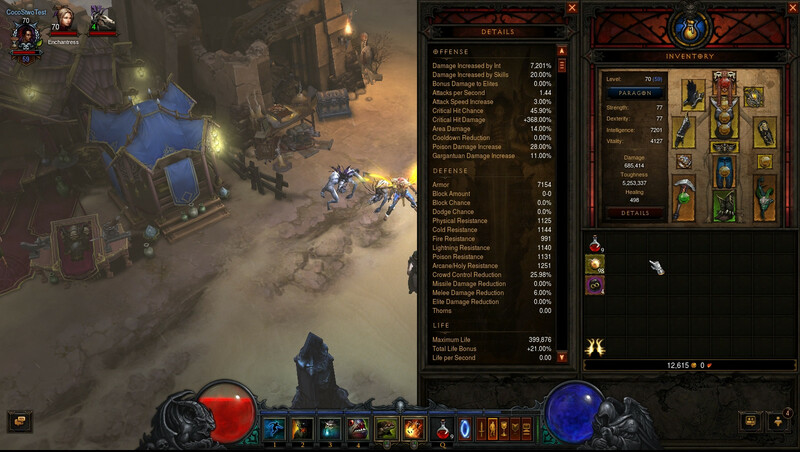 Min-maxing is particularly common in games where the cost of traits does not reflect their expected usefulness; for instance, in a combat-heavy game a player may focus on physical traits, giving a character abnormally low mental and social skills so that the remaining points can all be channeled to physical statistics that are more likely to come into play. Some video games have guides dedicated to building the absolute “best” character. Min-maxing in video games is considered expert-level play as it requires a perfect understanding of the game’s mechanics and systems, but once it is achieved, a game is no longer challenging. Does Min Maxing make a difference? Lets look at 6 pieces of gear, with a Stat cap of 500 INT. With those 6 Pieces you average 440 Int per piece of gear, bringing you to 2,640 Int Count. If you were to able to bring the average to 460 Int per piece of gear gear, your new Int count would be 2,760 an improvement of 120 Int. If you were able to average 490 Int Average per piece of gear 2,940, that’s a 300 Int Difference from the 440 Avg we started with. 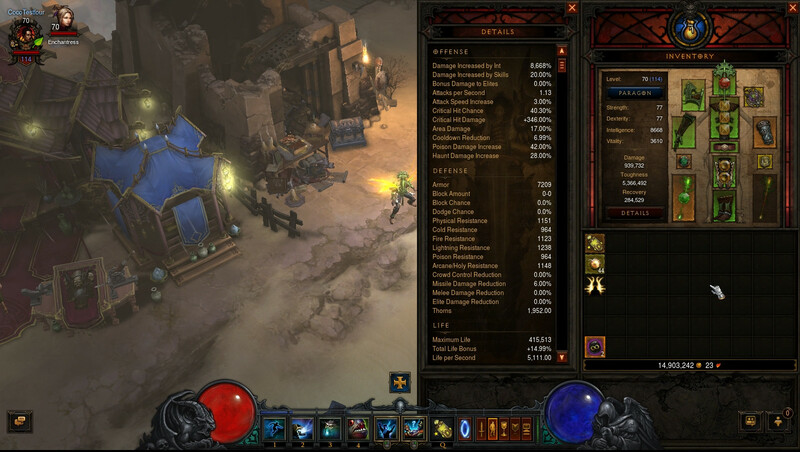 So with 13 Item slots in Diablo 3, improving your gear piece by piece, maximizing your Stat rolls on each individual pieces of your gear makes a huge difference in character development. Pretty Straight forward here, establishing a routine a to maximize your time to acquire the most amount of crafting materials, Gear, and Blood Shards. During phase 2 prioritization on Witch Doctor Voodoo helms is key initially, but after acquiring one of the Build changing Witch Doctor Helms, it is all bout rounding out the items that will improve your build. I.E. Maybe you have 3-4 Pieces of Jade Set, but your lacking the gloves, or Your running a poison Grin Reaper build, and you attempt to gamble for a Swamp Waders for additional poison damage. For the most part the following gems are commonly used for most builds: Bane of The Trapped, Bane of the Powerful, Enforcer, and Efficacious Toxin gems. For the most part these gems are would you should be upgrading first with a “New” Witch Doctor. The 1-1-1 Method I use, is to upgrade each gem one Level at a time to Maximize successful upgrades. By the time all your Gems reach level 15, you should have solid gear, and proper itemization with your build to already be clearing Greater Rift levels 25-30. Towards the end of the 24 Hour Witch Doctor Run, items should have solid rolls, and your Jewelry should be min maxed to a decent level. Most of your gear will be complete, and Gems should be stacking up due to the probability your jewelry re-rolling is complete. Not to mention your Gold count should be solid allowing you to craft all your gems to “Royal” or “Flawless Royal” very easily. 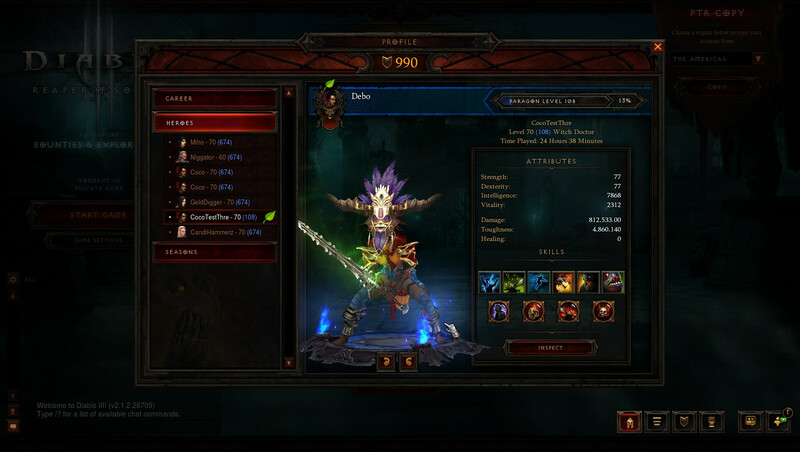 Screen Shots of the Test Session Witch doctors after 24 hours.